I do love FPC trivia nights because, not only are they fun, but the categories are creative. And plus, they always have a theme! This year’s theme was rules. The answer could be a rule or the question was a rule, they were rules. Now this year’s appearance was a bit different, we did not have our usual Dream Team. Bob and his dad were otherwise occupied and so we had to come up with a couple of fresh faces. 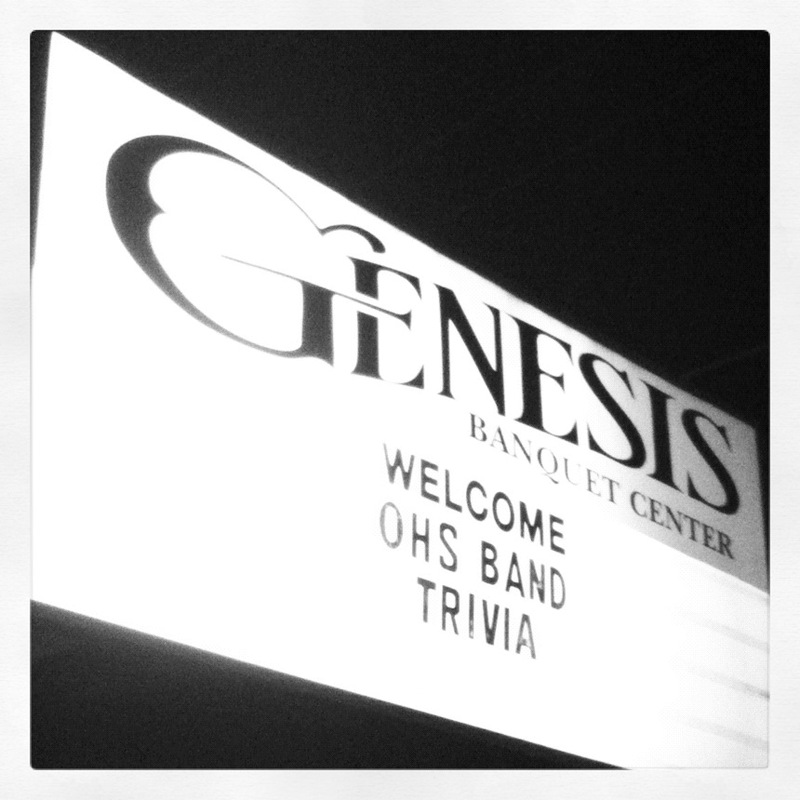 After hearing about our past performances at this trivia night, the newbies were a bit intimidated and we expected a lot out of them. Boy, did we perform! Even without two of our usual suspects, we still won! Woo-hoo! And this wasn’t an easy trivia night since I’m not really all about rules. Rules of the Bible: We had to name all 10 Commandments. I sat back on this one because I only really knew the popular ones. There were enough churchgoers to answer this one. Rules of the Game: The clue was a rule of a board game and you had to guess which board game it was. A fun category and made me want to go play some board games. Baseball Rules: I sat back on this one and let Colin run with it. Rules of the Road: I claimed the stereotype of female Asian drivers. But apparently, you wouldn’t want to drive with quite a few tables with some of their scores in this round. Flag Rules: Did you know that Sarah Palin signed an American flag, a big no-no in the flag handbook. Freakin’ dumbass. Composition: Oh, my. Grammar and sentence structure. Brings me back to elementary school. TSA Carry-on Rules: This category was interesting. They stated something and you had to decide if you could carry them on the plane. And just a heads up, you cannot have gel inserts. Government Rules: I was afraid these would be all questions on the amendments, thankfully, they were not. TV & Movies: This category either had rule in the question or rule in the answer. And for the life of me, I can’t remember the 10th category. Oh well, you get the gist. I’m excited to see what they come up with next and for the two that missed this night, you have a lot to live up to. We penciled in this edition of the FPC Youth Group Trivia Night well ahead of time to avoid some of the scheduling conflicts that have plagued us in the past. Thankfully, we were able to get the Trivia Dream Team (Katie, Kim, Jen, myself and my parents) together to put together another run at the trivia title. In addition to being an alumnus of the youth group, this trivia night is one of our favorites because of the time and creativity used in coming up with the theme and the question categories (plus we win it frequently). This year, the theme was all about movies. One category required you to name the movie when provided a famous quote. Another had us match the movie with the original book it was based upon. Movie theme songs and freeze-frames were popular categories as well.